The main side of the map measures 24" wide x 18" high. 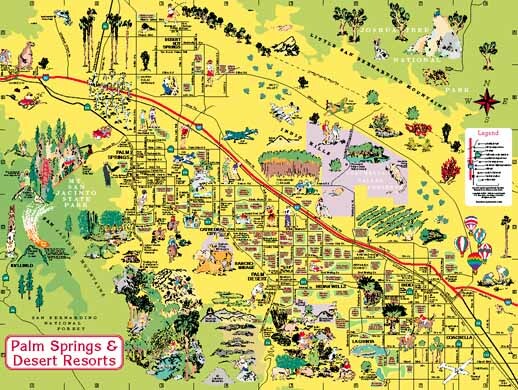 It features the entire resort area, which extends along interstate 10 from the San Gorgonio Pass in the west to the fields of the Coachella valley on the east. Dozens of illustrations highlight the points of interest, and each golf course is shown. Enlarged detail from the area around downtown Palm Desert.